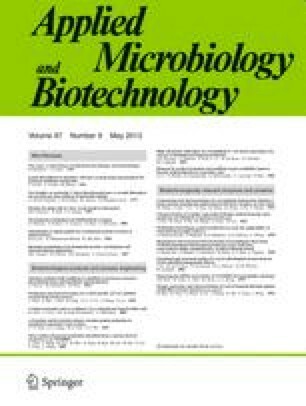 This short review covers the biotechnological aspects of the production of poly-D-3-hydroxybutyric acid, P(3HB), from H2, O2 and CO2 by autotrophic culture of the hydrogen-oxidizing bacterium, Ralstonia eutropha. Considering the efficiency of utilization of a gas mixture as substrate, a practical fermentation process using R. eutropha for the mass production of P(3HB) from CO2 should be designed on the basis of a recycled-gas, closed-circuit culture system. Also, maintaining the O2 concentration in a gas phase lower than 6.9% (v/v) is essential to prevent the gas mixture from exploding. Our study, using an explosion-proof fermentation bench plant and a two-stage culture system with a newly designed air-lift fermenter, demonstrated that very high P(3HB) yield and productivity could be obtained while the O2 concentration was maintained below 6.9%. However, a study on the continuous production of P(3HB) from CO2 by chemostat culture of R. eutropha revealed that the productivity and content of P(3HB) in the cells was considerably lower than by fed-batch culture. It is deduced that the use of the hydrogen-oxidizing bacterium, Alcaligenes latus, which accumulates P(3HB) even in the exponential growth phase, will be useful for the effective production of P(3HB) from CO2.